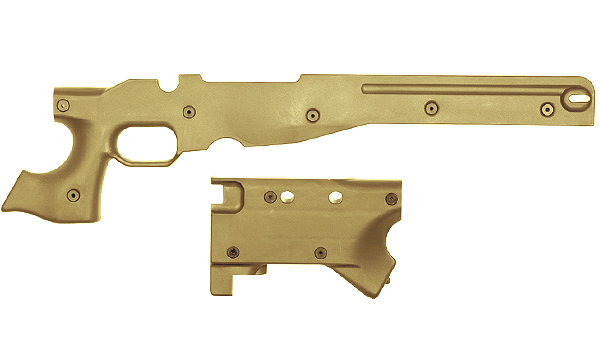 A complete stock and frame shell for the AW.338 Airsoft sniper rifle (16163) and (17117). Allows for a color change from the standard black to Desert. Can be used as a replacement part or as a upgrade part for customizing.